And so to today’s most loony story! Hu Seng, from Chongqing City, southern China, decided to surprise his partner by posting her an unusual present – himself. 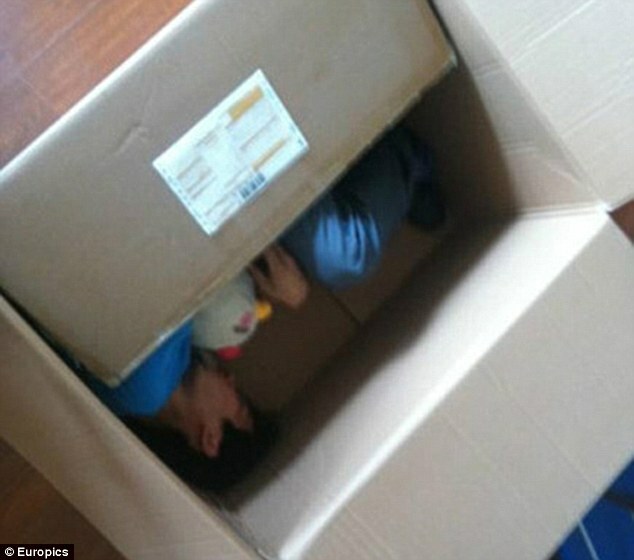 In doing so he almost died when the courier company mixed up the address and instead of 30 minutes in the sealed box, Mr Seng was trapped inside for nearly three hours. The box had very little air inside and was too thick for Mr Seng to make a hole in it. By the time the package had arrived at his girlfriend’s office – where a friend was waiting to record her surprise on camera – Mr Seng had passed out and had to be revived by paramedics. Next time I suggest he arranges for some flowers and champagne to be delivered instead – far less risky!!! Posted on August 29, 2012, in General, Trivia and tagged 30 minutes, champagne, China, Chongqing City, courier, flowers, girlfriend, Hu Seng, partner, sealed box. Bookmark the permalink. Leave a comment.